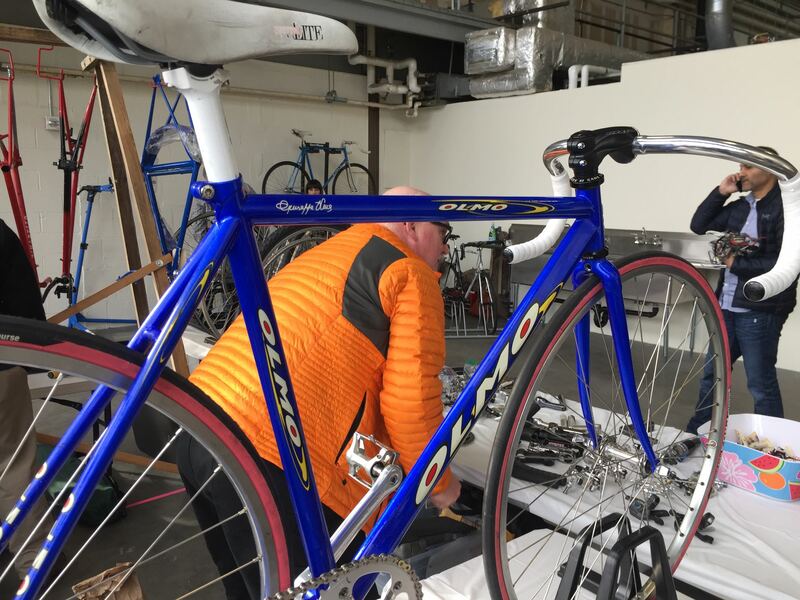 The 2017 Seattle Bike Swap was hosted by Cascade Bicycle Club at Magnuson Park this past Sunday, February 12. 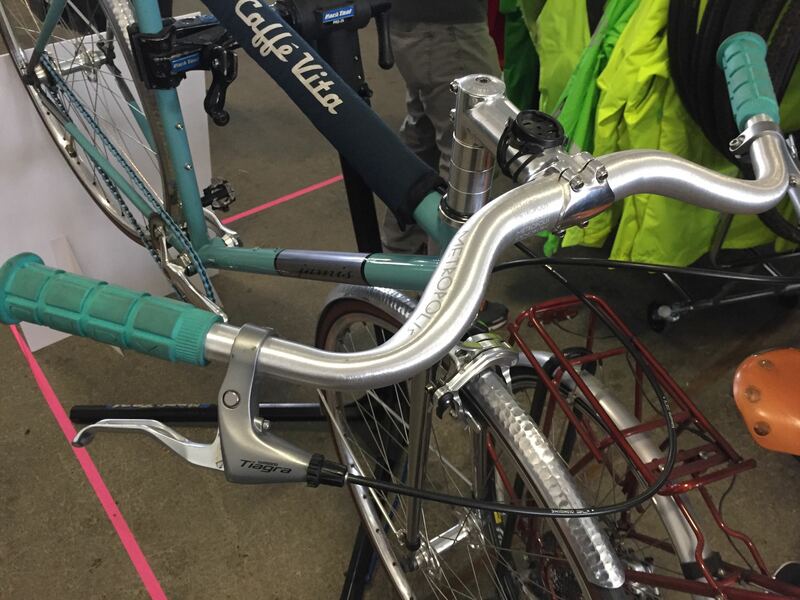 Thankfully The Swap didn’t fall on the 14th, because experience suggests that showing up late for a Valentine’s Day brunch with greasy fingers, a jumble of used bike parts, and a shortage of cash will severely deplete one’s relationship capital. This year I brought a $100 cash and a small list. I never have high expectations for actually buying stuff, and I suppose I like The Swap as much for the entertainment as the bargains. 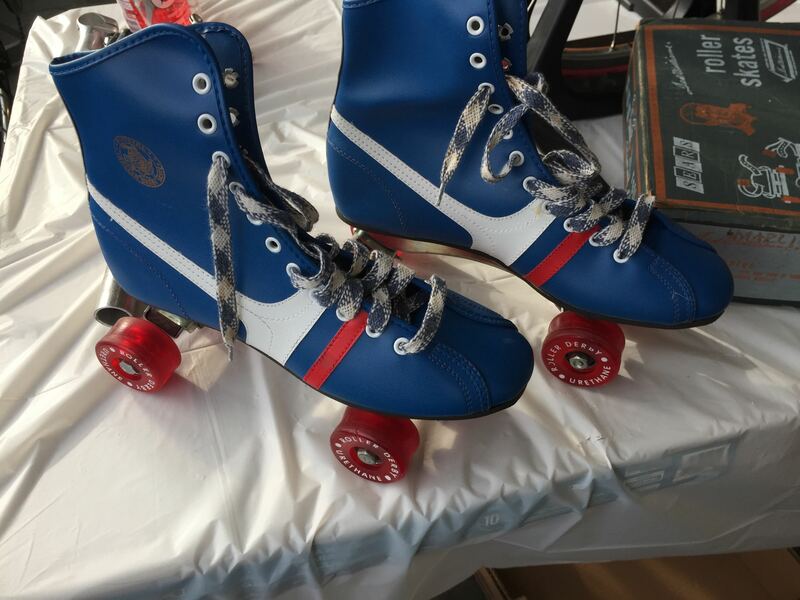 The histories of design and marketing nostalgia told in haphazard collections of greasy curiosities. 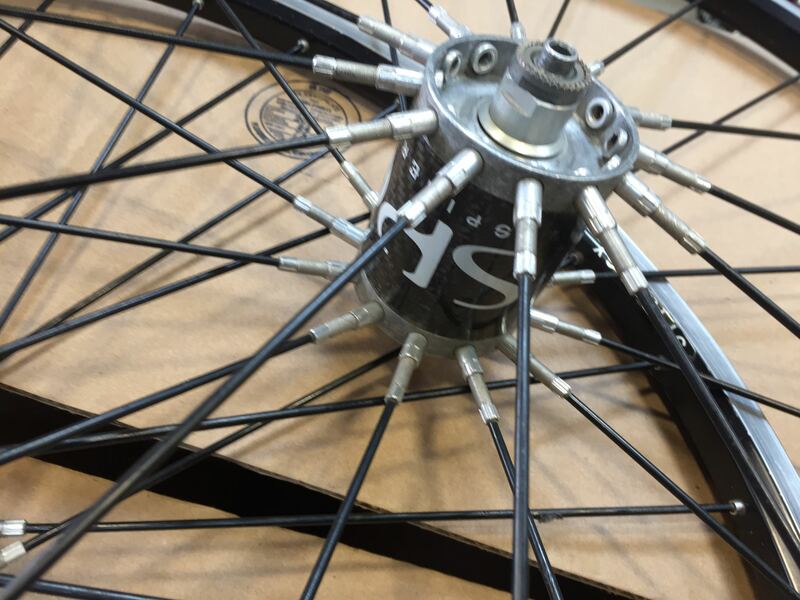 My big regret is not buying a pair of 160mm Shimano RT-81 Centerlock disc rotors when I first saw them, because they were gone 10min later. I picked up an 8sp-era 105 rear derailleur to use as a chain tensioner on a Rohloff conversion. Old road rear derailleurs work great for single-speed or internal-gear hubs on vertical dropouts, because you can easily fine tune the chainline. Also, they are generally of much better quality construction than your typical aftermarket chain tensioner, and cheaper to boot. My aesthetic preference would have been to buy a late 1970s Suntour or Shimano short-cage rear derailleur, but the early 90s 105 was super cheap. 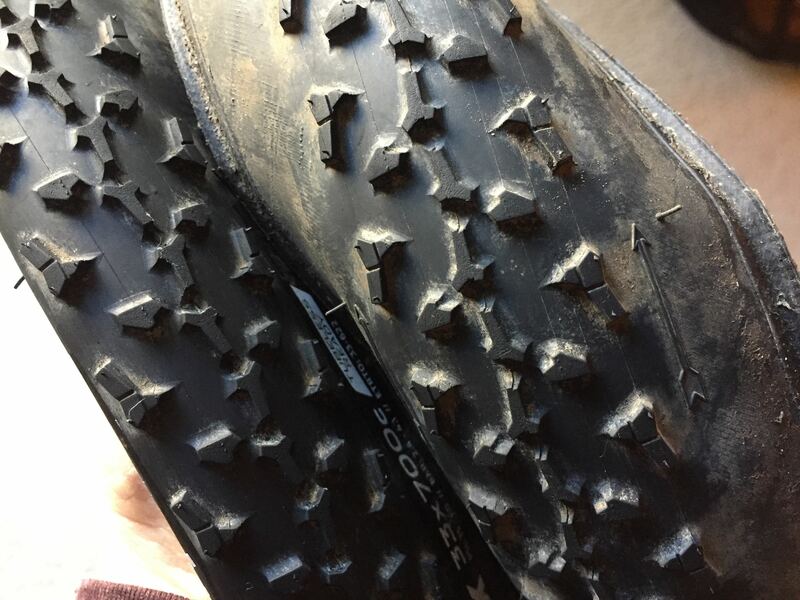 Probably my best buy was a pair of Clement PDX tubeless-ready cyclocross clinchers, just $20 for the pair and lots of tread left. 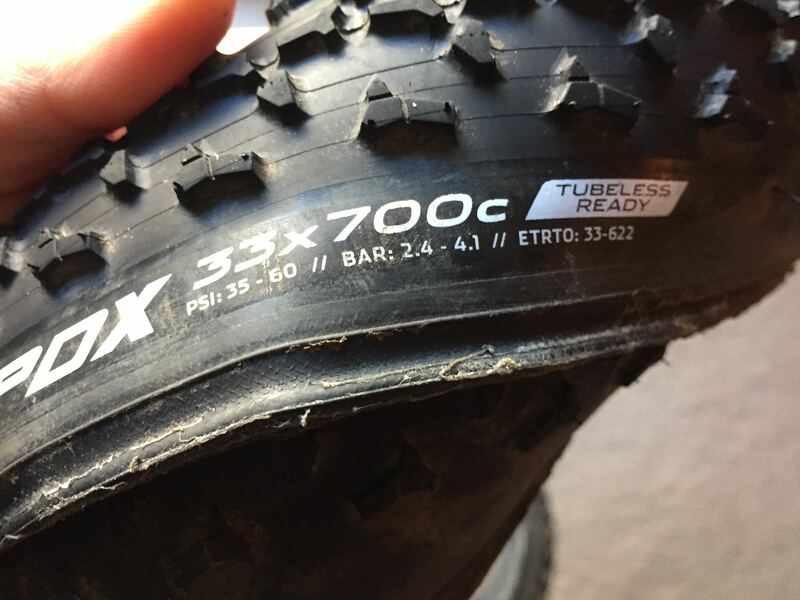 If I build some 700C disc brake wheels for the 3T Exploro, then these tyres will make the wheels my sticky mud setup. 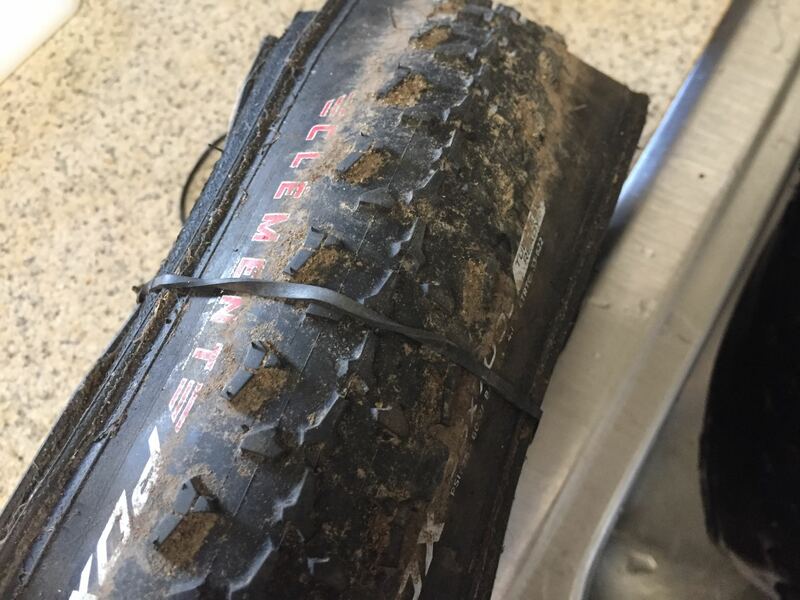 Or maybe I will just clean these tyres up and eBay them in August when buyers are really hot for CX equipment. Even considering the auction and Paypal fees, I bet I could almost double my investment from the bike swap. 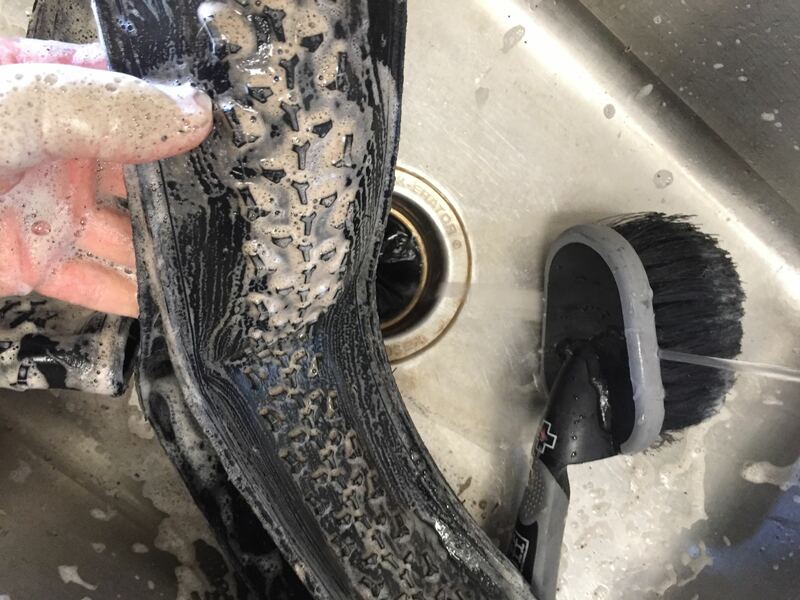 So of course I would want to clean up the tyres for photos, but my girlfriend caught me cleaning the tyres in the kitchen sink….now I have to clean the entire kitchen before Valentine’s Day. Whether in bike swaps or relationships, you gotta know when to take a good deal when it’s offered. Nice looking bike that wasn’t my size, so I can appreciate the aesthetics without any worries that I’d spend money on it. 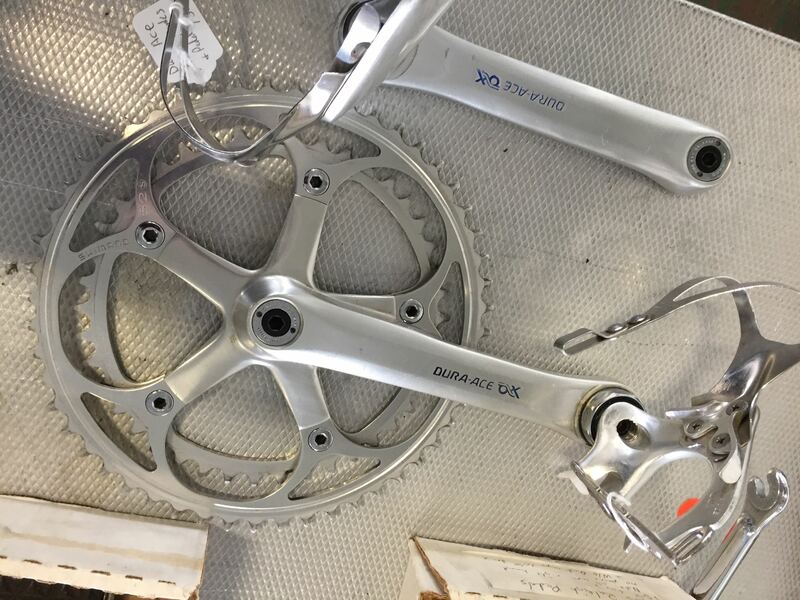 Dura Ace AX…Shimano has always tried to push new and/or weird standards, but in the 1970s/80s they didn’t have the clout to bend the industry like they do now.